Sir Hugh Lane purchased this work for the Johannesburg Art Gallery from the RA 1910 exhibition. 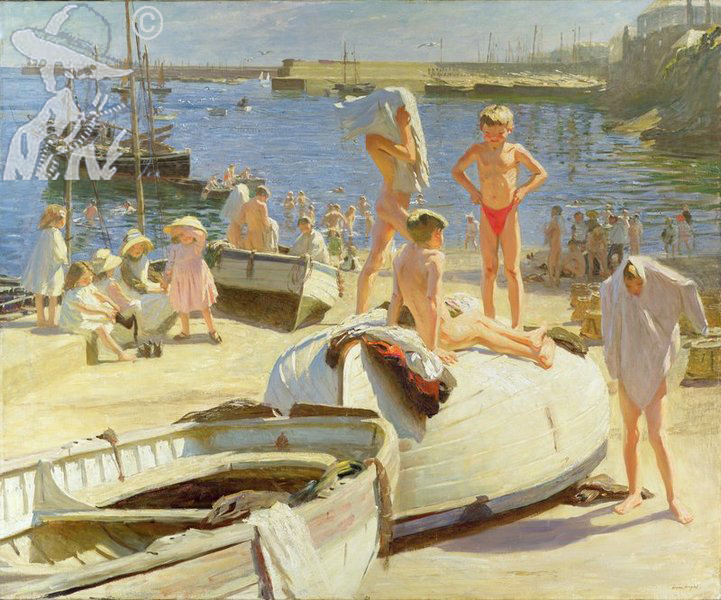 There is an article in the RA archives whereby Arthur Harris identifies himself as one of the boys depicted in the picture. He goes on to state that his only reward was severe sunburn and lots of splinters from the boats.